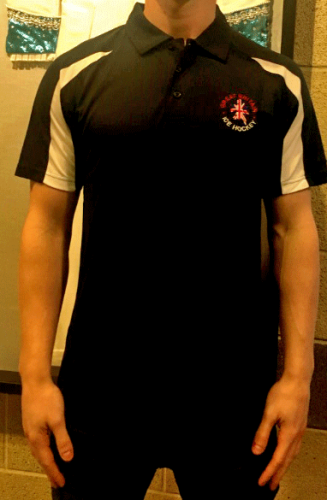 New style Contrast Cool Polo Shirts. Sports the IHUK Lion Logo encircled by "Great Britain Ice Hockey" on left breast. Click on images to see different colours and colour chart. Sizes:S 38" M 40" L 43" XL 45" 2XL48"